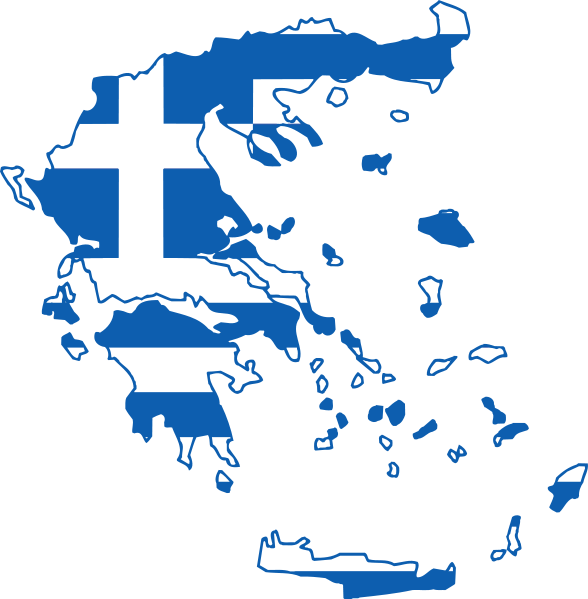 The Greeks or Hellenes (Greek: Έλληνες [ˈelines]) are an ethnic group native to Greece, Cyprus, Albania, Anatolia, Southern Italy, and other regions.They also form a significant diaspora, with Greek communities established around the world. Greek colonies and communities have been historically established on the shores of the Mediterranean Sea and Black Sea, but the Greek people have always been centered around the Aegean and Ionian seas, where the Greek language has been spoken since the Bronze Age. The cultural centers of the Greeks have included Athens, Thessalonica, Alexandria, Smyrna, and Constantinople at various periods. Greeks have greatly influenced and contributed to culture, arts, exploration, literature, philosophy, politics, architecture, music, mathematics, science and technology, business, cuisine, and sports, both historically and contemporarily. Greek culture has evolved over thousands of years, with its beginning in the Mycenaean civilization, continuing through the Classical period, the Roman and Eastern Roman periods and was profoundly affected by Christianity, which it in turn influenced and shaped. The Diafotismos is credited with revitalizing Greek culture and giving birth to the synthesis of ancient and medieval elements that characterize it today. The Greeks of the Classical era made several notable contributions to science and helped lay the foundations of several western scientific traditions, like philosophy, historiography and mathematics. Greeks have a long tradition of valuing and investing in paideia (education). Paideia was one of the highest societal values in the Greek and Hellenistic world while the first European institution described as a university was founded in 5th century Constantinople. The University of Constantinople was Christian Europe’s first secular institution of higher learning since no theological subjects were taught, and considering the original meaning of the world university as a corporation of students, the world’s first university as well. As of 2007, Greece had the eighth highest percentage of tertiary enrollment in the world while Greeks of the Diaspora are equally active in the field of education. Notable modern Greek scientists of modern times include Dimitrios Galanos, Georgios Papanikolaou (inventor of the Pap test), Nicholas Negroponte, Manolis Andronikos, John Iliopoulos (2007 Dirac Prize for his contributions on the physics of the charm quark, a major contribution to the birth of the Standard Model, the modern theory of Elementary Particles), Joseph Sifakis (2007 Turing Award, the “Nobel Prize” of Computer Science). Greek art has a long and varied history. Greeks have contributed to the visual, literary and performing arts. In the West, ancient Greek art was influential in shaping the Roman and later the modern western artistic heritage. Following the Renaissance in Europe, the humanist aesthetic and the high technical standards of Greek art inspired generations of European artists. Well into the 19th century, the classical tradition derived from Greece played an important role in the art of the western world. In the East, Alexander the Great’s conquests initiated several centuries of exchange between Greek, Central Asian and Indian cultures, resulting in Greco-Buddhist art, whose influence reached as far as Japan. Byzantine Greek art, which grew from classical art and adapted the pagan motifs in the service of Christianity, provided a stimulus to the art of many nations. Its influences can be traced from Venice in the West to Kazakhstan in the East. Notable modern Greek artists include Renaissance painter Dominikos Theotokopoulos (El Greco), Panagiotis Doxaras, Nikolaos Gyzis, Nikiphoros Lytras, Yannis Tsarouchis, Nikos Engonopoulos, Constantine Andreou, Jannis Kounellis, sculptors such as Leonidas Drosis, Georgios Bonanos, Yannoulis Chalepas and Joannis Avramidis, conductor Dimitri Mitropoulos, soprano Maria Callas, composers such as Mikis Theodorakis, Nikos Skalkottas, Iannis Xenakis, Manos Hatzidakis, Eleni Karaindrou, Yanni and Vangelis, one of the best-selling singers worldwide Nana Mouskouri and poets such as Kostis Palamas, Dionysios Solomos, Angelos Sikelianos and Yannis Ritsos. Alexandrian Constantine P. Cavafy and Nobel laureates Giorgos Seferis and Odysseas Elytis are among the most important poets of the 20th century. Novel is also represented by Alexandros Papadiamantis and Nikos Kazantzakis. Notable Greek actors include Marika Kotopouli, Melina Mercouri, Ellie Lambeti, Academy Award winner Katina Paxinou, Dimitris Horn, Manos Katrakis and Irene Papas. Alekos Sakellarios, Michael Cacoyannis and Theo Angelopoulos are among the most important directors. Total Greek Party Recipes & GIVEAWAY! Don't forget windex for zits. all the things are Greek ideas! … that is just a very limited reference… the world IS Greece either you realise it or not. FRIST ECONOMIK CRASH 2008 ! END SECOND MODERN GREEKS ACENT TURKS. 30 Greek ideas?better said 3000 Greek ideas…which change the World and were used still Now! !